Export Portal & Export Portal.com a Glendale, California company has spent many years building out a private blockchain based international B2B trading platform called Export Portal. With verified manufacturers and sellers already on their secure e-commerce ecosystem in over 100 different countries and over 70 different industries, middle men, be they in the supply chain or freight forwarding, will become a thing of the past. With all information transacted on our system via a private blockchain, there is no central location that stores sensitive information. Information is distributed throughout the world by computers which carry relevant information from one manufacturer, buyer, freight forwarder or logistics node to another. Blockchain technology creates a transparent, distributed and decentralized system that tracks all aspects of the transaction. 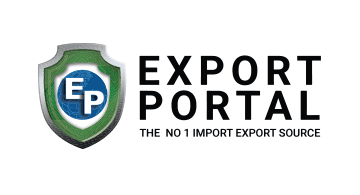 All the information on Export Portal’s proprietary platform cannot be manipulated or changed as all parties would have to be in agreement. All communication is handled in real time, eliminating extraneous third-parties or parties that simply add time and cost to the myriad of documents involved in international transactions and shipping, which will bring down costs. For centuries, the control of assets or international shipments was handled by trusted third parties, including banks, with a slew of forms and personnel that had to be managed and tracked. Verifiable Blockchain information opens up new opportunities because there will no longer be the need for extraneous, time-consuming entities to be involved and that means profit. The direct model for shipping goods directly from the manufacturer to the seller has been evolving towards a high level of efficiency for years and a blockchain enabled environment makes this path to efficiency and security even faster. Soon, financial institutions will be able to take positions with a shipment or company because they understand that the information available on trusted platforms using blockchain technology has been thoroughly vetted. The world is fast becoming a smaller place and the same game-changing forces that have affected entire industries is about to meet its match in international B2B space as well. The world is hungry for an ethical means in which to weed out frauds, fakes, IP stealing manufacturers and illegal trade that is fast approaching $1 Trillion (USD) plus globally. The time is now for brands, communities, government tax bases and families dependent on the free-flow of ethical business to understand that what shadow companies could get away with in the past is not going to be tolerated or even possible with ExportPortal.com. We look forward to speaking with you at Money 20/20.